Fleet Coffee 2427 Webberville Rd. Stop in to this small eastside locale for an espresso and chat with owners Patrick and Lorenzo, recognizable by their dapper blue aprons. 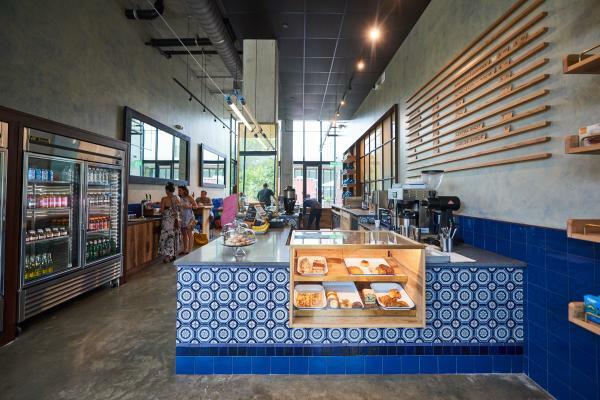 Fleet has been the talk of the town among local baristas and coffee fanatics since opening in March, and it’s not hard to tell why. The minimal shop is as serious about quality as it is about creativity, as witnessed by the seasonal “Coffee And” menu. Past favorites include the Sandia, made with Juiceland’s recovery punch, and the Saturday Morning Ritual, served with fruity-pebble infused milk. Flat Track Coffee 1619 E. Cesar Chavez St. These E. Cesar Chavez roasters are the epitome of Austin cool. Their single origin coffees are lively and floral, on par with some of the best roasters around. Keep it simple with a cup of brewed coffee or a shot of espresso to take in the flavors then top off the experience with a tasty breakfast taco from Tyson’s Tacos. Mañana 1603 S. Congress Ave. The uber-hip South Congress Hotel’s new craft coffee shop is the kind of café that will make your friends and Instagram followers swoon. But what makes this spot great is so much more than aesthetics. Pair your morning joe with the everything kolache or sweeten it up with a latte and a pumpkin plum basque cake from the hotel’s executive pastry chef. Seventh Flag Coffee 1506 S. First St. 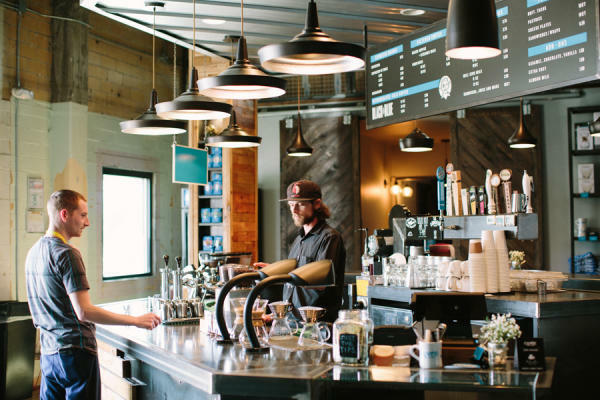 This relaxed south Austin shop is home to a crew of friendly baristas who are dedicated to their caffeinated craft. Seventh Flag tends to the details, from their five-spice blend chai to their house-made almond milk. Start your day with a crisp macchiato and delicious avocado toast or try the nitro cold brew on tap if you’re looking for something refreshing. 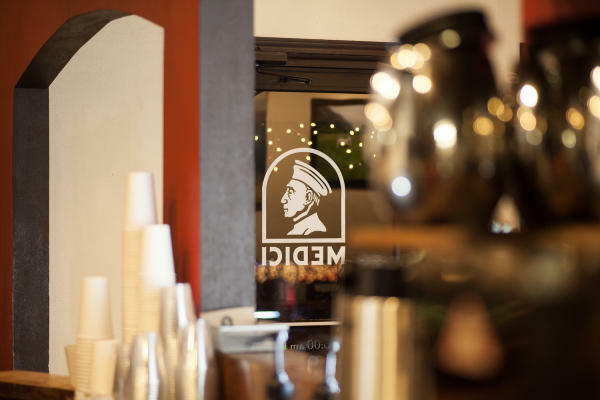 Don’t miss this iconic Austin coffee house during your coffee tour of the town. These local espresso artisans have grown from their humble Clarksville origins to five full-service locations around town. Get to know the baristas slinging ‘spro on the bar and grab a TacoDeli breakfast taco before they’re gone! Figure 8 Coffee Purveyors 1111 Chicon St. This quaint neighborhood shop on Chicon serves up quality coffee from local and national roasters. Tuck yourself away in the back garden with one of their specialty pour-overs or chill out with a cappuccino, fresh eats from Fricano’s Deli and turntable tunes on Sundays. Cuvée Coffee Bar. Credit Lauren Carnes Photography. Cuvée Coffee 2000 E. Sixth St.
No list of Austin coffeemakers would be complete without including Austin’s famed roasters on East Sixth. You’ve probably seen those little blue bags around town already, or maybe you’ve tried Black & Blue, their nitro cold brew on tap. But to get the full experience, stop by the coffee bar and see where the magic happens. These roasters really do care about their coffee, from farm to cup and every step in between. Head to Canopy for one of the most unique shops in town. Sa-Tén not only crafts delectable drinks (with A+ latte art) but it also serves a full menu of inventive Japanese-inspired eats from dawn till dusk. Try the savory yasai with your espresso and don’t forget to stop by the Big Medium gallery afterwards to see what’s on display! 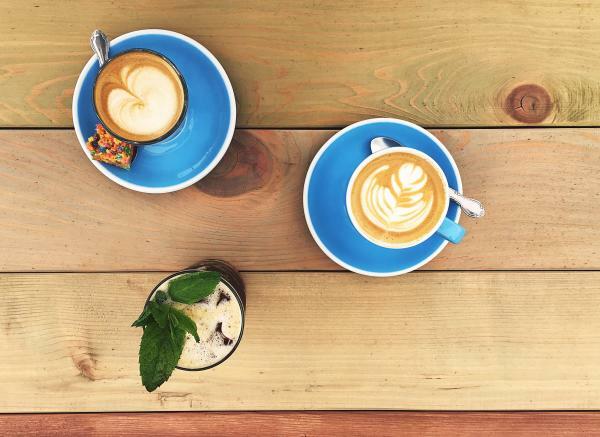 Share your coffeegrams with us using #TrueAustin on Twitter & Instagram!